Eat a healthier diet for a smaller waist, bigger brain. Everywhere you look you may see an ad for a new diet program that promises to help you lose weight. 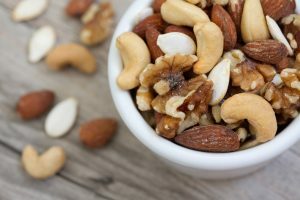 Many people get sucked into the idea that they can lose weight fast on fad diets. However, these diets usually hard to stick with for the long term and may have long-term consequences. More and more research is finding that it is not necessarily the type of diet you are on that is good for health. However, the quality of food that you are eating is more important in health outcomes. And if you improve the quality of your diet, you may not only help your success with weight loss. New studies show that a healthier diet could also improve the strength and size of your brain. A promise of rapid weight loss. It is important to remember that losing more than 1-2 pounds a week is not healthy long-term. Any more than this could also involve the loss of muscle, bone, and water. Cutting out entire food groups or nutrients. A prime example of this is the low carbohydrate trend that continues on. Although there are some benefits to this type of diet, some may not follow it healthfully and may restrict nutrient and fiber-rich vegetables and fruits too much. This could lead to nutrient deficiencies long term. In addition, the lack of long-term studies on the effects of such popular diets can put your long-term health at risk. An example of this is the high-fat, moderate protein, very low carb keto diet. 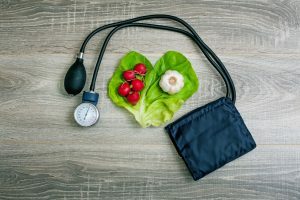 Although there are some studies that show positive heart health benefits, there are also studies that show long-term negative health effects on insulin resistance and liver health. Until larger and more randomized, placebo-controlled studies are done on such eating regimens, they should not be taken lightly. A diet that is hard to follow and limits the times you can eat. Many diets out there can help you lose weight. Of course cutting out food groups and severely restricting the foods you can eat can help you shed pounds. This is because they are basically just placing you on a low calorie diet hidden behind a shiny new veil. However, many of these diets are also hard to follow. If a diet is so restrictive that you can’t stick to it long-term then it is not going to be effective in providing any health benefits that it could offer. And diets that limit the times you eat during the day may show some benefit such as helping you to limit snacking. However, long-term and larger studies need to be done before benefits of such limited eating times can be confirmed. A dutch study of about 4200 people 45 years and older looked at quality of diet and brain health. Study results show that those with higher diet quality scores had brains about 2 millimeters bigger than those with lower scores. This may not seem like a lot, except when you consider that the brain shrinks 3.66 millimeters every year. This means that a healthier diet could help prevent 6 months of aging in the brain. Healthy-fat based diets such as the Mediterranean diet has found similar results. It is suggested that any diet good for the heart will be good for the brain since it will help improve blood flow in the body. Besides eating plenty of fiber-rich fruits and vegetables, there are certain things you can do to improve the heart health of your diet. This can, in turn, improve the brain healthy components of your eating routine too. Add more healthy fats from fish: A recent study has found that consuming two 3.5-ounce servings of fish each week can help lower heart disease risk. Oily fish with high levels of omega-3 fatty acids are the best. Examples of this type of fish include salmon, albacore tuna, mackerel, lake trout, and sardines. Eat more plant-based healthy fats: Other sources of heart healthy fats include plant-based foods such as olives, avocado, and olive oil. Nuts, nut butters, and seeds like flax seed or chia seed are also examples of heart healthy fats. Exercise more. Regular aerobic exercise that gets your heart pumping, may boost the size of your brain and improve memory, according to a British Columbia study. It is recommended to engage in moderate exercise for at least 30 minutes, 5 days a week. Examples of such moderate exercise may include walking, light jogging, biking, or water aerobics. This 30 minutes a day can be broken up into 5 and 10 minute intervals if needed. Take heart and brain healthy supplements. Adding supplements such as fish oil can help you get your daily dose of healthy fats even if you do not eat fish. A quality fish oil is by Vita Sciences that provides 1000 milligrams of fish oil. This formula contains 400 milligrams of EPA and 300 milligrams of DHA. These components are well-known for their ability to support brain health. Godman, H. (April 9, 2014; updated April 5, 2018) “Regular exercise changes the brain to improve memory, thinking skills.” Harvard Health Publishing: Harvard Medical School. Gordon, S. (May 16, 2018) “Better Diet, Bigger Brain.” HealthDay. Norton, A. (May 17, 2018) “Eat Fish Twice a Week to Ward Off Heart Disease, Experts Say.” HealthDay. Wolfram, MS, RDN, LDN, T. (January 2, 2017) “Staying Away from Fad Diets.” Academy of Nutrition and Dietetics. Could a To-Do List Help You Get More Sleep? Sleep is a precious commodity in your busy life. Between work, taking care of loved ones, and running errands, it is a wonder you find time to sleep at all. However, it is important to make time for sleep because of all of the health benefits adequate sleep can provide. A recent study suggests that making a to-do list may help ease your mind so you can capture more sleep. When you sleep, your body helps to regulate many processes in the body. Blood pressure, blood glucose levels, and bodily fluids are just a few of the processes regulated during sleep. When you do not get enough sleep, you can increase your risk of high blood pressure and elevated blood glucose levels. In addition, research has found that those who consistently received less than six hours of sleep each night were more likely to have a higher body mass index than those who received at least eight hours of sleep each night. Therefore, long term lack of sleep can not only increase risk of chronic diseases such as heart disease and diabetes, but also increased obesity risk. The National Sleep Foundation recommends at least seven hours of sleep each night for most adults. Children two years of age or less require around 14 hours of sleep each day, including naps. Those between the ages of three and eighteen require around 10 hours of sleep each night. Children require more sleep to support their body’s growth and development. Quality of sleep is just as important as quantity of sleep. Sleep quality may be low if you do not feel rested upon waking, wake up during the night, snore, or gasp for air during sleep. Sleep disorders such as sleep apnea may affect your body’s ability to get oxygen during sleep. This can impact safety during sleep and can make you feel fatigued upon waking. If you experience interrupted sleep or wake up tired, you should see your healthcare provider for further assessment. Pain, frequent urination, or breathing problems could prevent you from getting more sleep. A study in the Journal of Experimental Psychology looked at 57 Baylor University students and the effects of writing down unfinished tasks on sleep. One group of students wrote down unfinished tasks, while the other group wrote down tasks previously completed. All students were in a controlled environment and told to go to sleep at a set time. They were prohibited from staying up to look at phones or complete any other tasks. Those who wrote down unfinished tasks were found to have improved sleep by use of an overnight polysomnography test. 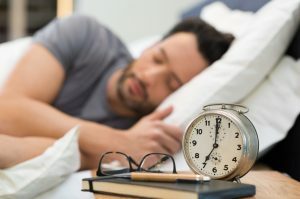 Larger studies and observation of other age groups and individuals with sleep disorders such as insomnia will need to be done to confirm the effectiveness of such strategies. Besides making to-do lists, here are some other ways to help you get more sleep and improve quality of sleep each night. Stay on a sleep schedule each night to help your body’s clock regulate itself. It may take some time to adjust to an earlier bedtime or earlier wake time. However, over time your sleep patterns will enhance quality and quantity of sleep. Exercise each day to help your body exert some energy. Not only will exercise help improve your sleep, but it can also help manage your weight, which can in turn help you reduce risk of sleep disorders such as sleep apnea. Take time to relax before sleep by engaging in meditation, relaxation breathing, and reducing screen time. The light from the screens on phones, computers, and television can interrupt the sleep-wake cycle. Adding in essential oil diffusion such as with lavender can help induce relaxation. In addition, drinking herbal teas with chamomile can help induce sleep. Avoid alcohol, caffeine, cigarettes, or heavy meals before bedtime since such things can cause interrupted sleep. Caffeine and alcohol can act as a diuretic, which may cause frequent urination that can interrupt sleep. On the other hand, the nicotine from cigarettes act as a stimulant and can in turn disrupt the sleep-wake cycle. Finally, heavy meals less than two hours before bedtime can cause indigestion and increase risk of heartburn, which can interrupt sleep. Ensure your sleep environment is conducive to sleep. Every ten years, you should replace your mattresses. Every few years or so, you should also replace your pillows to prevent exposure to allergens such as dust mites. In addition, reduced exposure to light sources in the evening can help keep your body’s rhythms in check. You can use blackout curtains to help reduce the amount of natural light in your bedroom. Add a supplement to your bedtime regimen to help you get more sleep. Somnova by Vita Sciences contains ingredients such as melatonin and L-theanine to help promote restful sleep. If none of these strategies are helping, then be sure to visit your healthcare provider for more sleep guidance. Constantly forgetting important errands? Avert your midlife crisis by fixing some typical causes of memory loss that can happen to anybody under the age of 50. Stress, medication, and menopause are all examples of things that can lead to short-term memory loss, even if you’re not a candidate for age-related dementia. Memory loss in midlife- it happens. “I’m too young for this!” you think as you wrack your brain trying to remember the password for your ATM card… or your son’s birthdate…or your own age (without doing the math). It seems like you’re always getting sidetracked, confused, or lost in a fog. You’re constantly forgetting words that are just on the tip of your tongue. These are all typical symptoms of brain fatigue. Once you understand what’s causing it, the road to recovery is that much closer. Here’s the good news: Most likely, it’s not dementia. Even if you’re getting along in years, brain loss from Alzheimer’s disease or other degenerative illnesses are not a given, and don’t happen to all senior citizens. Often, other factors such as vitamin deficiency, exhaustion, health problems or even daily medications can cause an endless cycle of brain fog, tiredness, forgetfulness, dizziness, and irritability that can make it difficult to function. 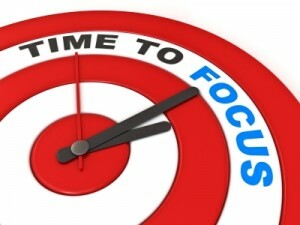 The sooner you address these problems, the sooner you can start feeling more focused, energized, and relaxed. Vitamin B12 is necessary for healthy brain functioning. It’s one of the most beneficial nutrients for supporting your nervous system, red blood cell production, and proper metabolism. 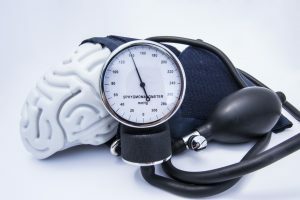 If constant memory loss is interfering with your life, then one of the best things you can do for yourself is to dramatically increase your uptake of high-quality vitamin B12 supplements. Most people find that even one week’s worth of B12 supplementation results in an immediate improvement in such symptoms that occur with B12 deficiency- especially chronic fatigue and memory loss. With time, cognitive impairments linked with low vitamin B12 will gradually disappear. When you’re stressed, your adrenal glands produce cortisol, the stress hormone. If you suffer from daily stress, then you’re making it round the clock. Too much cortisol in your blood supply is directly linked to memory problems, dizziness, and other signs of mental fatigue. Stress is a common cause of memory loss for people who suffer from chronic depression. Again, this can be linked to excess cortisol. Stress management, relaxation, exercise, and a healthy diet are all cited as effective ways to reduce stress and improve your memory. Heavy drinkers may experience memory impairments and forgetfulness caused by Korsakoff’s syndrome. While under the influence, your brain simply isn’t “paying attention” to things that are happening around you. The more time spent drinking, the less memory you will have retained by midlife. Certain drugs and medical treatments can cause memory loss, brain fog, and confusion. If you’re currently taking a prescription drug that makes you feel forgetful or unfocused, then tell your doctor. Also known as “menofog,” memory loss during midlife is a common indicator of menopause. Hormone fluctuations, stress, mood changes and sleep problems can all make it difficult to concentrate, relax, or stick with your everyday routine. 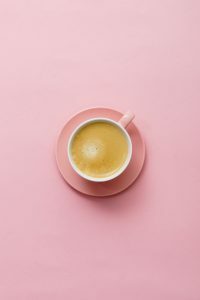 As a result, many women approaching their fifties wrongly think they’re going crazy or experiencing the first signs of dementia, when they’re really undergoing the beginnings of menopause. To find out if menopause may be causing memory problems, speak to a doctor who specializes in women’s health. What other causes of memory loss can you add to this discussion?